Drug-resistant Salmonella Hits Dozens Across U.S.
Oct. 17, 2018 -- At least 92 people in 29 states have been infected with a drug-resistant strain of salmonella, and raw chicken products appear to be the culprit, the CDC said Wednesday. The agency thus far has not been able to identify a supplier responsible for the outbreak, which reaches from Hawaii to Maine. 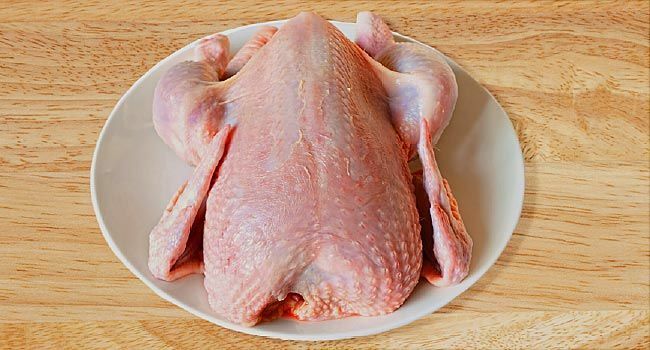 The CDC says laboratory evidence shows raw chicken products from a variety of sources were contaminated with SalmonellaInfantis. Of the 92 who have been sickened, 21 have been hospitalized. No deaths have been reported. The agency is not yet advising consumers to stop eating chicken but urges anyone who does to make sure it is properly cooked. The illnesses began in January, and the most recent case was confirmed in September. Of the 92 cases, 11 were found in Pennsylvania, more than any other state. New York had 10, and Massachusetts and New Jersey both had nine cases. Other cases were in Alabama, California, Connecticut, Delaware, Florida, Georgia, Hawaii, Illinois, Indiana, Kentucky, Louisiana, Maine, Maryland, Michigan, Minnesota, Missouri, Nebraska, North Carolina, Ohio, Rhode Island, South Carolina, Tennessee, Texas, Virginia, and Washington. Most people infected with salmonella get diarrhea, fever, and stomach cramps within 3 days of exposure. The illness usually lasts 4 to 7 days, and most people recover without treatment other than fluids, the CDC says.